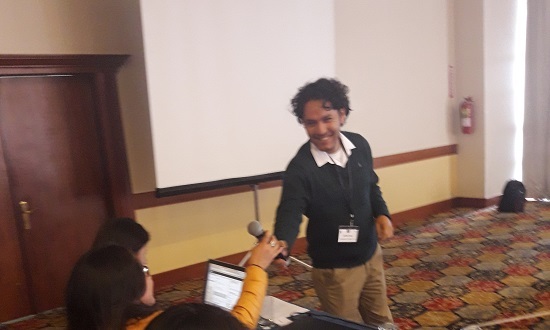 In partnership with WWF Ecuador and the Natural Capital Project, CSF shared tools and expertise at the “The Value of Nature” Symposium in Quito, Ecuador from November 27 to December 1. The purpose of this event was to bring together people and institutions working on environmental issues and provide them with economic tools to enrich their perspective and capacities. CSF trained attendees in the use of Economic Valuation, taught by CSF analysts Carlos Solís and Sophia Espinoza, and Cost Benefit Analysis, taught by CSF analyst José Carlos Rubio Ayllón. Both of these concepts are essential to understanding the value and impact that ecosystem services have on the economy and sustainable livelihoods, and to weigh the costs and benefits (both economic and non-economic) of projects - particularly infrastructure projects. The Natural Capital Project provided training on the use of their InVEST tool (Integrated Valuation of Ecosystem Services and Tradeoffs), a software that maps and values the goods and services provided by nature to sustain human life.Sessions were a mix between theory and practice, with emphasis on hands-on exercises to ensure participants can be as involved as possible in the utilization of the tools. CSF analyst Annie Escobedo and I were able to attend the symposium as participants during the sessions focused on the use of InVEST. I found it particularly interesting to see the presence of both the Ecuadorian Ministry of Agriculture and the Ministry of Environment, demonstrating that those sometimes perceived at odds with one another can seek mutually beneficial ways to achieve big goals - such as those related to the environment and development. The next step for this project is to continue to train environmental professionals and decision makers on the utilization of new and existing economic tools with the goal of optimizing practices and results that are good for both communities and the environment. Carlos Solís (CSF) taking participant’s opinions on the development of the symposium. All photos by Carla Mendizabal.